Les cartes Qsl sont arrivées. Qsl cards are at home . LoTw uploaded.. 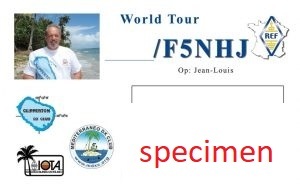 Following illness i am late, Qsl via office and direct for my different callsigns are done.